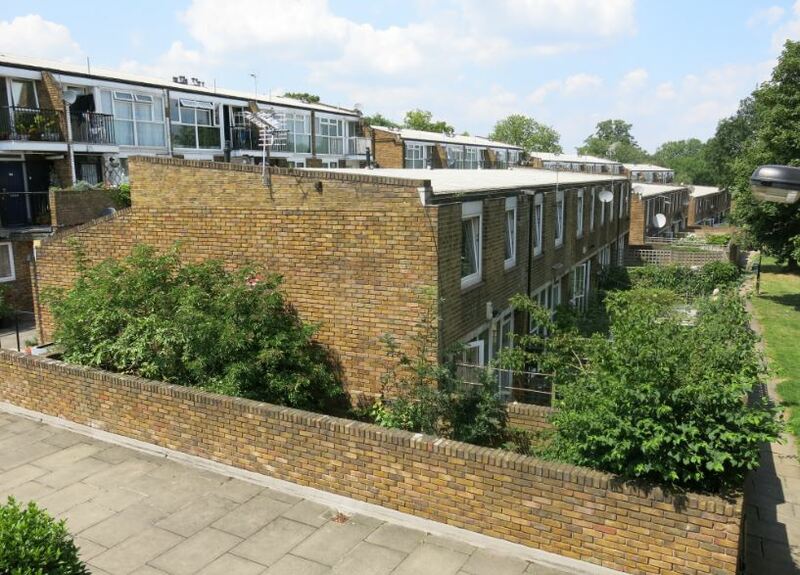 Cressingham Gardens in Lambeth is one of the finest council estates – I use that maligned term deliberately – in the country. Superbly designed to make the best use of its site adjacent to Brockwell Park, it’s an apt tribute to the ideals and professionalism of its chief architect Ted Hollamby and a generation of local councillors who believed council tenants deserved nothing but the best. It’s sad to report that this legacy is now under threat. Hollamby and his wife Doris were members of the Communist Party (he finally left the Party after the Soviet invasion of Czechoslovakia in 1968) but his mother’s gentler politics – she was a member of that unsung group, the Cooperative Women’s Guild – was an equal influence, as was his stint as a young architect working for the Miners’ Welfare Commission. In 1962, he was appointed Chief Architect for the Borough of Lambeth. Interviewed in the Council Chamber with half the councillors present and appointed there and then, Hollamby describes the process as ‘inspiring’ – he was ‘amazed that there were such interesting and progressive views that were being put out by the councillors’. One question and response was revealing. He was asked by Council Leader Archie Cotton, ‘What do you think about that chap, le Corbusier? 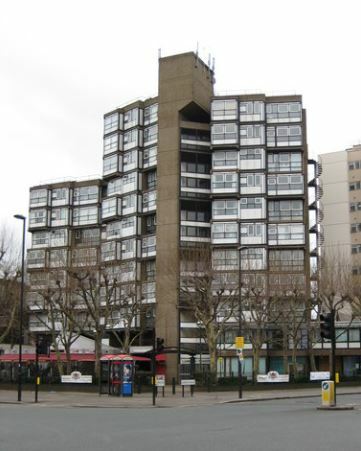 Do you think we ought to ask him to do something here in Lambeth?’ Hollamby demurred – le Corbusier ‘would not be bringing to Lambeth something which was essentially part of its history…What he would be interested in doing is imposing one of his sculptures’. Hollamby’s own contribution to Lambeth housing would be of a very different stamp but first he was given the freedom to organise his own department, a first for Lambeth as it was to be enlarged and given new powers in the forthcoming reorganisation of London local government. Hollamby determined it would be ‘multi-professional’, equipped to deal with strategic town planning, development control, architectural design, rehabilitation and conservation work – ‘the whole design field’. At its peak, it would comprise over 750 architects, planners and construction workers. 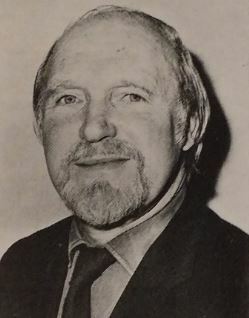 In the sixties, Hollamby and Lambeth Council worked harmoniously at the cutting edge of housing and planning policy, pioneering the extensive use of rehabilitation and infill housing with Hollamby himself described as ‘the acknowledged leader in high density housing with low buildings’. (3) Cressingham Gardens takes its place in this pantheon. These progressive policies withstood the arrival of a Conservative majority – described by Hollamby as ‘very empirical’ – on the Council in 1968. In fact, one John Major was the deputy chair of the Housing Committee which approved the Cressingham Gardens scheme. 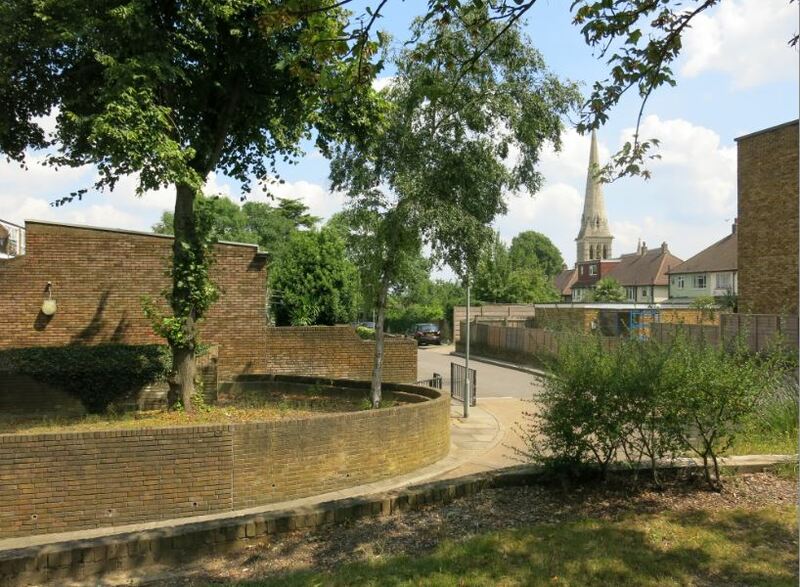 I’m sorry if all this seems to have taken us some away from the focus of this post, Cressingham Gardens, but it seems important to establish this context and remember an era when local government had the power to innovate and held still to a vision of transforming the lives of our people. In this project, it attracted some of the most idealistic and able individuals in the country; not all were ‘big names’, of course, though we have focused on those here. Back in the 1960s when Labour and Conservative governments were vying in the number of council houses they could construct, a chief element of that transformative power lay in housing – in razing the slums and building (massively) anew. In 1964, Richard Crossman, Labour Minister of Housing and Local Government (the terminology is telling), requested London’s new councils to prepare a seven-year housing programme. But central government was insisting increasingly that priority be ‘given to industrialised building systems and the rationalisation of building techniques’. 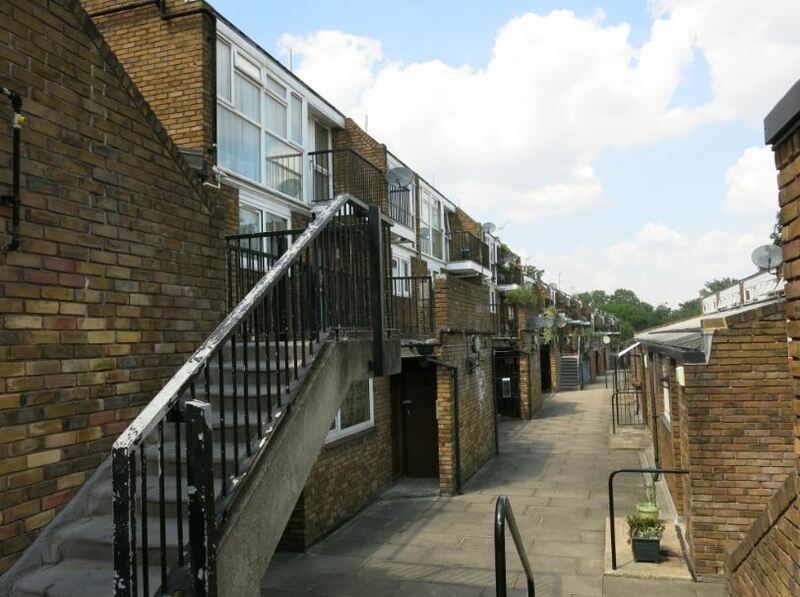 (6) Lambeth architects used large-panel systems in a number of schemes at this time but their insistence on customised designs precluded cost-savings and strong reservations about the suitability of point blocks for families remained. People do not desperately desire to be housed in large estates, no matter how imaginative the design and convenient the dwellings – but do they really like the monotonous, equally vast and characterless suburb?…[Most] people like fairly small-scale and visually comprehensible environments. They call them villages, even when they are manifestly not. We are not just dealing with housing as such. We are building a community. We don’t look at this in terms of so many houses. Rather we think in terms of the functions of a community. We don’t, you see, have club rooms for tenants but centres for a community. We don’t have old people’s homes set aside on their own. We integrate them into other things we are planning. These principles were trialled in a number of Lambeth housing schemes of the late sixties – at Central Hill near Crystal Palace and in Virginia Walk and Cherry Laurel Walk on Tulse Hill, for example. How did all this play out in their Tulse Hill neighbour, Cressingham Gardens? Next week, we’ll look more closely at the estate itself and how these high ideals worked out in practice. We’ll look too at the threat currently posed to Cressingham as ‘regeneration’ is mooted. (2) Ted Hollamby, interview with Jill Lever, 1997. 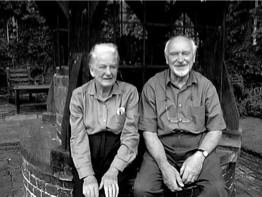 National Life Story Collection: Architects’ Lives, British Library. Other quotations from Hollamby are taken from the same source unless otherwise credited. (3) Jill Craigie, ‘People versus Planners’, The Times, 14 September, 1968. Hollamby also appeared in Craigie’s BBC documentary, ‘Who are the Vandals?’, screened in February 1967. (7) Hollamby speaking on ‘The Architect’s Approach to Architecture’ at RIBA, 24 January 1974, quoted in the Architects Journal, 6 February 1974. For more information on the residents’ campaign against regeneration and background on the estate, visit Save Cressingham Gardens. If you’re impatient for more description, analysis and illustration of the estate, visit the excellent blog post by Single Aspect. If you’re in London, do visit it yourself during the Open House London weekend on 20 and 21 September. A really good piece, really interesting. Brilliant – really helpful and informative. 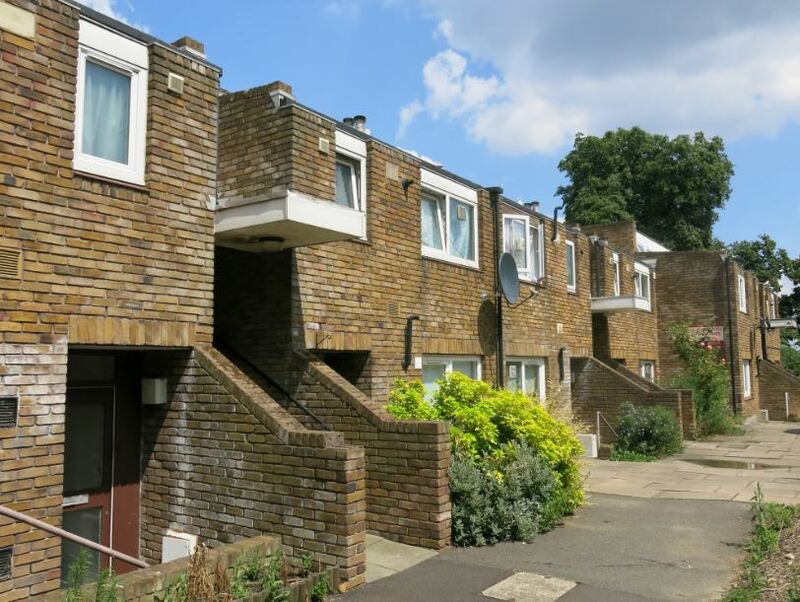 Changing Face Collective is working on an arts and verbatim theatre project to highlight the threat to Cressingham Gardens and five other housing estates in Lambeth.